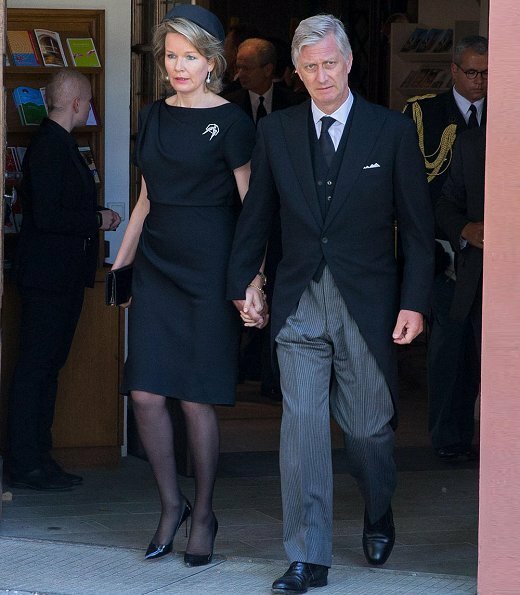 On May 25, 2018, King Philippe and Queen Mathilde of Belgium attended the funeral of Duke Friedrich of Württemberg held at Altshausen Castle Church in Altshausen. 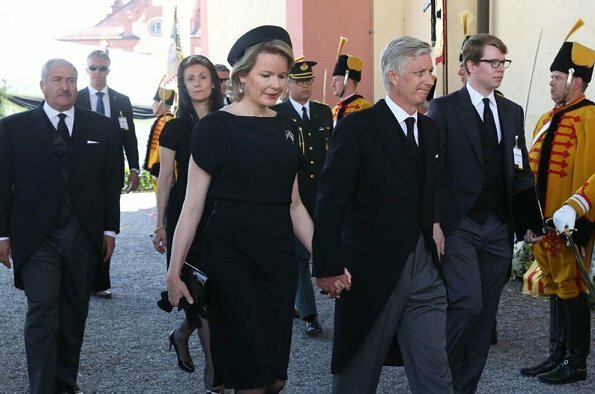 Among the 2,000 mourners at the funeral were Fürst Hans-Adam II, Prince Alois, Princess Sophie of Liechtenstein and Princess Sibilla of Luxembourg. Duke Friedrich of Württemberg was killed in a crash earlier this month as he tried to overtake a tractor on a rural road in south-western Germany. He was 56-years-old. 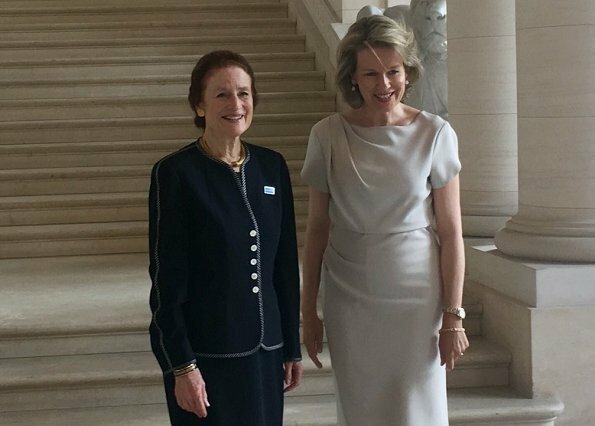 On May 25, 2018, Queen Mathilde of Belgium met with Henrietta Fore, the Executive Director of UNICEF, on the castle of Laken. First on a sad occasion in Germany the funeral of the Duke of Wuerttemberg where this month 3 funerals where held, a sad month for Royals. 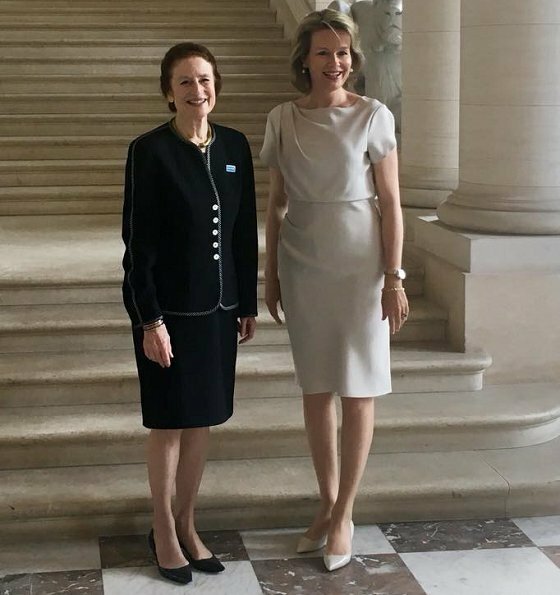 Mathildas 2nd attendance was back in Belgium where she found her smile again at a meeting with a UNICEF representative. Both outfits where spot on for the different occasions. Good job Mathilda. Tragic news about the duke. The Queen's look, from her dress to her hat, are very appropriate and dignified. May soul of Duke Friedrich of Wuerttemberg rest in peace. It is Fürst Hans-Adam II (and his family) of Liechtenstein. Not Luxembourg. Are these the same dresses in black and cream? It is a cut that actually fits and suits Mathilde well with the softer lines and drapes. She looks very pretty in the last pictures with the cream dress, with softer hairstyle - and with the almost Meghan Style ;-)) strand falling into her forhead. Beautiful natural smile. 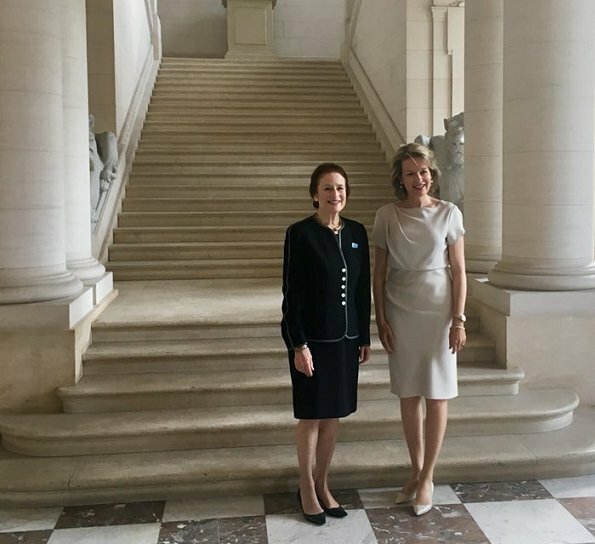 This is a very beautiful color coordinated photo with the two ladies standing at the base of the stairs. I also find the black suit with white lines is very nice, could have been a little more fitted in the waist.